High Noon Books is a division and imprint of Academic Therapy Publications (ATP). Established in 1965, ATP was one of the first publishers to meet the needs of teachers, parents, and students in the field of special education and learning disabilities. Over the years, ATP has developed a wide range of assessments and supplementary educational materials for speech and language pathologists, occupational therapists, school psychologists, and special education professionals, among others. It's High Noon Books division was established in 1984 as one of the early publishers of high interest / low level (Hi/Lo) books for struggling readers. 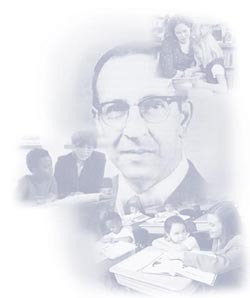 ATP was founded by John Arena, a pioneer in the field of learning disabilities. Mr. Arena began his career as an elementary school teacher and then as a teacher for the orthopedically handicapped. He then joined the innovative Dewitt Reading Clinic in San Rafael, California. It was during this time that Mr. Arena became publisher and editor of the journal Academic Therapy. In 1968 he founded the Arena School and Learning Center, of which he was Director until 1977. In 1983 he started ATP’s High Noon Books division. Mr. Arena continued to be a consultant to colleagues, parents, and teachers until his death in 1989. After nearly 50 years, ATP remains a family-owned company that looks forward to continuing to provide relevant and practical assessments, teacher resources, and remedial reading materials for many years to come! Academic Therapy Publications / ATP Assessments: publishes and distributes standardized tests and reference books, curriculum materials, teacher/parent resources, and visual/perceptual training aids. High Noon Books: publishes high interest, low level books written on a 1st through 4th grade reading level for struggling readers in primary and secondary grades. Ann Arbor Publishers: features a line of visual perceptual materials designed primarily to improve letter recognition and eye movement skills required for reading. Arena Press: features CORE’s Teaching Reading Sourcebook, Assessing Reading: Multiple Measures, and Word ID: Assessment Across the Content Areas. Arena Press also publishes the trade publications: Diminish, Nasha: The First Dog, Return of the Lion People, and Juno's Twin's.